“Ayurveda, India’s wide-spectrum natural health system, has been fundamentally renewed since the end of the seventies. Under the guidance and inspiration of the Indian sage Maharishi Mahesh Yogi, foremost exponents of Ayurveda have combined its universal principles and the many fragments of its application which had been preserved in individual family traditions scattered across India, and restored the ancient knowledge in its original completeness. 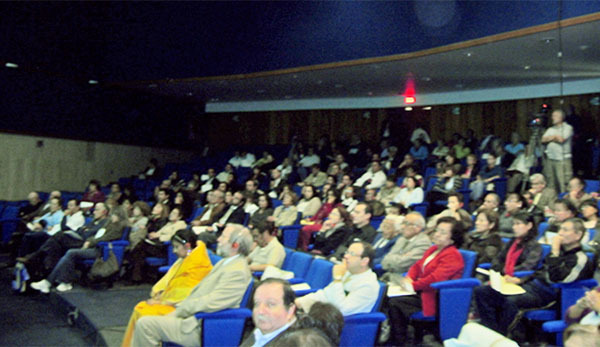 The Mexico City venue where the seminar for medical professionals was held.